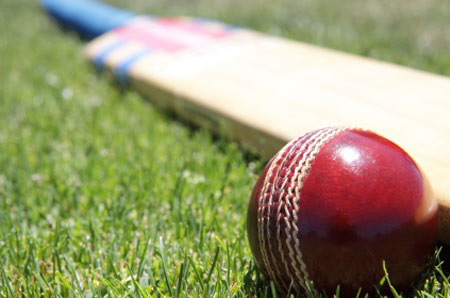 The South Lincolnshire and Border League Premier Division top of the table clash saw leaders Spalding Town bowled out for 176 – and challengers Woodhall Spa 2nd dismissed for exactly the same score. Matt Haslam took five Spalding wickets and Sam Cherry hit 55 for Woodhall who stay 10 points behind Spalding who have a game in hand. Skegness are four points behind Woodhall following their eight wicket win over Grantham 2nd and a further two points behind them are Sleaford 2nd following their victory over Stamford Town. Long Sutton and Billingborough also fought out a close game, Billingborough making 178 and Long Sutton falling just eight runs short. Welby Cavaliers have found the going tough in the Premier Division and the visit of Bourne 2nd added to the pressure after Courtney Kruger hit an unbeaten 202 to leave them facing a total of 394-6. The home side were then bowled out for 127. Belton Park lead Division One by 13 points after victory over Heckington but challengers Graves Park, who beat Market Deeping 2nd, have a game in hand. Moulton Harrox kept up their challenge after Louis Greethan and Lance Bettinson each hit 76 of their side’s total of 260 for two before restricting Claypole to 166 for nine, of which Graham Revill hit 54. Division Two’s bottom side, Uffington, inflicted the first defeat of the season on leaders Pinchbeck after making 200 for four. Neil Jones hit an unbeaten 64 for Uffington then Ivan Wilson took six wickets for 13 as Pinchbeck were all out for 115. Five wicket hauls for Steve Appleyard (5-27) and John Horton (5-29) saw Freiston 2nd bowl out Billingborough 2nd for 66 and go on to win by nine wickets. Premier Division: Bourne 394-6 (Kruger 202no, Bentley 72, Keast 50), Welby Cavaliers 127; Spalding 176 (Haslam 5-31), Woodhall Spa 2nd 176 (Cherry 55); Billingborough 178, Long Sutton 170; Freiston 115, Boston 2nd 118-4; Grantham 2nd 157-9 (Mudie 64), Skegness 159-2 (Brant 55no); Stamford 139, Sleaford 2nd 140-4 (Godby 65no). Division One: Graves Park 210 (Maskell 70, Lowndes 5-47), Market Deeping 103; Moulton Harrox 260-2 (Greetham 76, Bettinson 76no), Claypole 166-9 (Revill 54); Spalding 2nd 151-8 (Alam 59), Timberland 131 (Blankley 56); Belton Park 184-8, Heckington 48. Division Two: Uffington 200-4 (Jones 64no), Pinchbeck 115 (Wilson 6-13); Grantham 3rd 139 (Morris 5-44) Long Sutton 2nd 98; Billingborough 2nd 66 (Appleyard 5-27, Horton 5-29); Freiston 2nd 67-1.